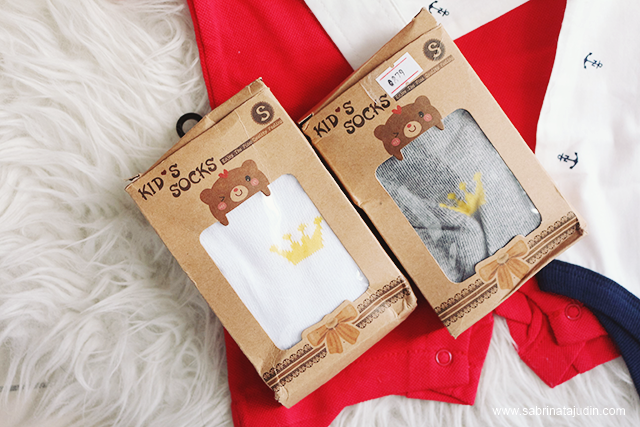 Here is a quick post on my recent baby stuff online purchase. Aryan is growing up pretty fast and it does makes me tear up a bit as I would miss his baby moments. 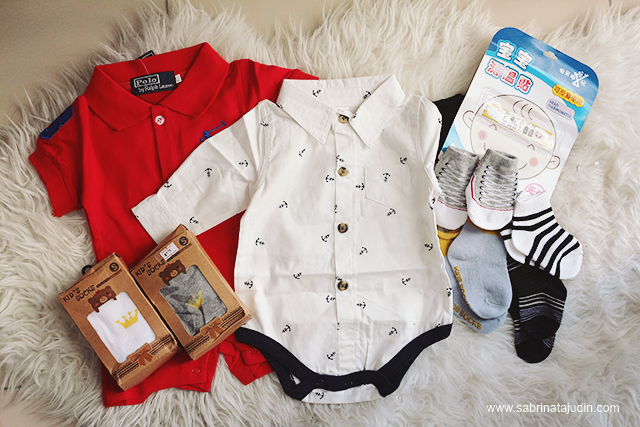 So he need new clothes and such, I stumble upon this website and did a little shopping. So far so great and I love my purchases! I bought 2 jalan2 clothes for him, a bit larger than his current size but its okay. Some socks and legging. And a thermometer patch for emergency. I freaking love the sock that looks like a grey converse shoes. Most shoes are for pre walker with 11cm and above size, so Aryan can only wear socks for the time being. Below is a legging, I did not read properly as this legging is actually for 1-2 years old girl haha! But I still wanna keep it for days if we happen to go to cold surrounding places and he need so more comfortable layers of socks. 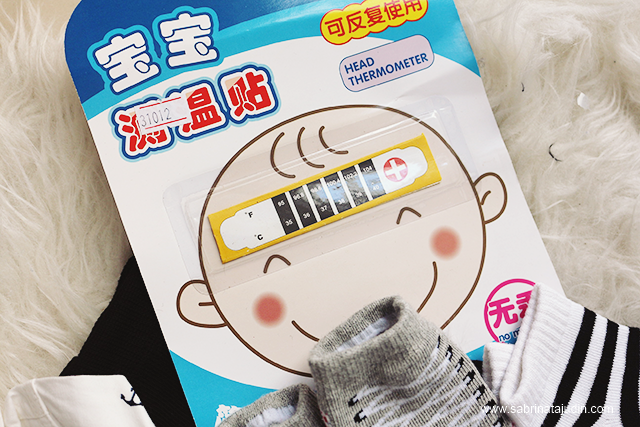 Below is a head thermometer. Just in case Aryan had a fever so we can see how high his temperature is. He is going to his "teething" phase, so I will need to get read if he catch a fever. This is Aryan wearing the Branded Boy Short Sleeves Romper in Red. It looks a bit bigger than his size but I think it is still okay as he is growing up pretty fast. If you are interested in more abby stuff, check out the link below! Hi Erin! Nawww.. such a sweet heart! haha! makeup haul still going on but sekarang ada baby haul jugak! hehe... thanks dear for your continuous support! awww... my readers semua sweet2! hehe thanks girl!